... but with Rachel hosting (coming off of another Golden Globe win), it should be good. Decent episode overall. I like thing on The Mule on Weekend Update. I watched some of Mrs. Maisel, and it wasn't my thing - so I bailed on it... but I liked Brosnahan on House of Cards and I thought she did a good job on SNL. She was very natural and into her characters - and I'm not even sure she used the cue cards at all... if she was reading them - I couldn't tell at all. I've heard of the band, but never heard their music. Didn't care for it - although I liked the instrumentation on the second song. Always thought it's lame when bands use gimmicks - and their clothing made me laugh. Does the lead singers movements remind anyone else of Ronnie James Dio? He even looked a bit like him - like he could've been his son. I agree about Brosnahan, she was really good. The only thing I knew the band from was the Pitchfork review of their album that went viral. I saw Greta Van Fleet on Fallon about a year ago and thought they sounded great. Considering they way bands look now and at any time frame and saying their outfits look funny is a wierd thing to comment on. Have you seen any bands and the way they look? Not too many who don't look weird. 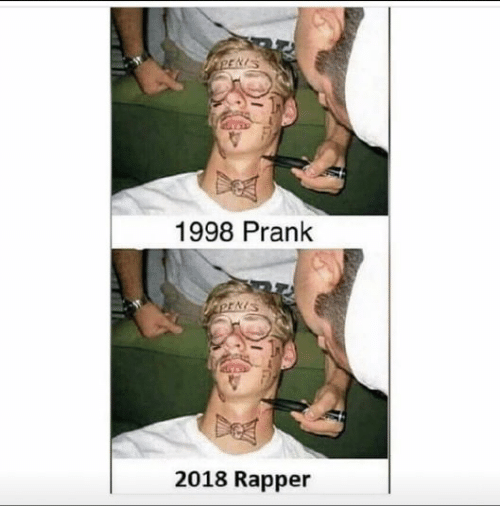 The trend these days seems to be singers/rappers who look like they fell asleep at a party and everyone took turns drawing stuff on their face. Yes, but they looked extra weird - especially the lead singer. And when the whole band dresses in the same style of weirdness, it's a gimmick - which makes it more lame. Didn't like gimmicks in the past, don't like them now. Regardless of what they look like - didn't care for their music either way. Kate McKinnon's Nancy Pelosi needs some work. And Pete Davidson isn't even trying anymore. I thought Rachel was great - a true professional. I'm divided about Greta after seeing them perform live - a nice sound, but there was something off about them to me - the songs are just not that memorable. The lead singer was like a weird hybrid of Ronnie James Dio and Steve Perry. Man, you and my dad would get along great (if he was still alive). Every time a rock band of any style came on TV, he'd go out of his way to point out the "gimmick". "They're all wearing leather pants, that's their GIMMICK"
Greta Van Fleet is okay, but at first blush they seem like a lesbian Led Zeppelin tribute band. I'll take Zeprella all day over Greta van fleet. I thought Rachel was great - a true professional. I'm divided about Greta after seeing them perform live - a nice sound, but there was something off about them to me - the songs are just not that memorable. The lead singer was like a weird hybrid of Ronnie James Dio, Buffalo Bill (SoTL), and Steve Perry. Even though it peter'd out a bit towards the end I liked this ep a lot. GVF's first song was really good. Didn't care for the 2nd song. I like Greta Van Fleet, but those performances were a bore. I understand that it's a small space that they have to perform in, but there just did not seem to be any "life" to it at all. If it's any indication of their stage presence, I will think twice about going to a concert. As for the rest of the show, I thought it was pretty good but no real stand out sketches. Davidson on Update was good, as was the name change office. Not familiar with Brosnahan, but I thought she did a good job. Couldn't agree more. He's a caricature of himself anymore. Thought Greta Van Fleet was excellent and most everything else was boring. I thought he looked like Peter Brady goes to Woodstock. I actually like the band and that's coming from a 50 year old dude. Best thing to come out of Frankenmuth since family style chicken dinners! Super Blood Wolf Moon - "I thought that was the name of the band that just played on our show." I actually laughed out loud at that one! GVF is the most overrated band in the history of music. Honestly I'd rather listen to Nickelback. Twice. Daaaamn. You know you've arrived when people start writing articles like this. I figured GVF was a solo female artist, or at least a band fronted by a woman. They couldn't think of another name? They had to be one word different than Greta Van Susteren?